New wiring with VDSL installation? Forums › Spark New Zealand › New wiring with VDSL installation? Don't worry toejam316 my reply was referring to Jase2985 comments. Anyone would think the Chorus installation costs come out of his pocket. There is no word when fibre is coming at my address and even then I will have to get permission for the installation from my neighbours as it is a shared driveway. 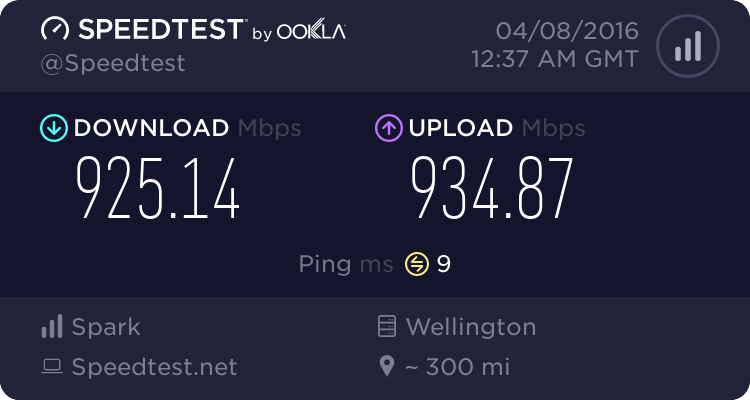 So I'm just trying to get the best VDSL connection I can because I could be on it for a long time. For a long time I enjoyed a download speed of 58Mbps, now it's only 38Mbps(most likely nothing to do with internal wiring). Right now at peak time it is only half that again(Netflix effect I guess). Bottom line: if Chorus was supposed to rewire and they didn't, why wouldn't I expect it since I paid for it. LittleDude: Spark sent an email that I mentioned earlier today saying "telpermit and chorus ('telecom whole sale') standards dictate that indeed a dedicated / new wire should be run. " Obviously your interpretation of their statement is different to mine. That's my understanding too. Chorus are contracted to do a job for Spark. Part of that is to run a new leadin. That was the case last time I spoke with someone who knew. The lead in may have to be run inside the house and look ugly running along some skirting boards. But it should have been done. So I refer back to my previous statement that you should ring the help desk back and say Chorus didn't do their job that Spark contracted them to do. mine was off the chours site so go figure. you are complaining over $5 of cable and 5 mins of a techs time. they have already rewired your ETP with a master filter and done the appropriate connection at the cabinet/exchange, you dont even pay a fee for a new connection on a 12 month contract. its built into your plan cost. but hey keep fighting it, its your time and effort you are wasting, and what do you expect the difference to be?